Congratulations to La La Land on an amazing 14 nominations!!! Porsche with EDGE System tracking the action in Iceland. APCC traveled to Berlin with two Biscuit Rigs, the Porsche Camera Car and EDGE System and our Subie chase car at the request of Spiro Razatos. Its always an honor to work with Spiro Razatos and team MALAKA. 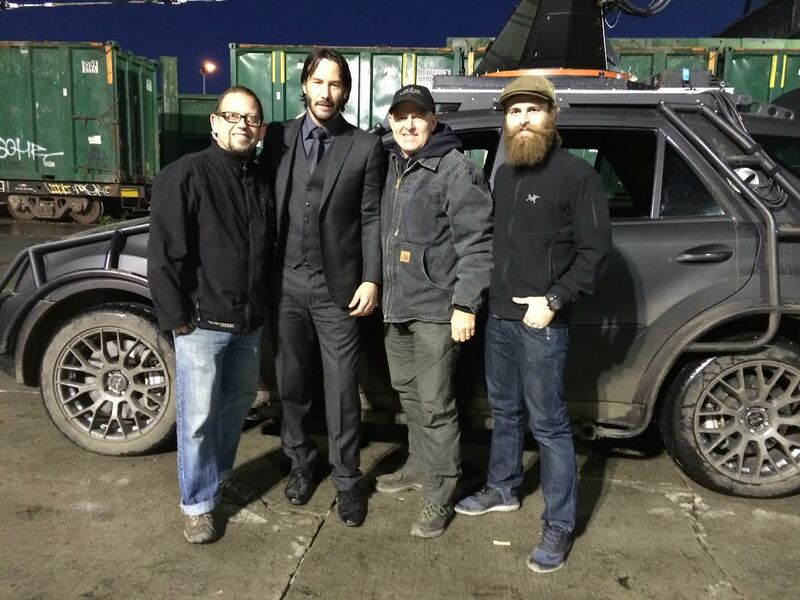 Stunt Coordinator, Robert Nagle, used and abused the rig filming some great stunt moves with multiple vehicles. The Raptor with EDGE Crane System waiting on deck to be Fast and Furious. “Fast and Furious 8” took the franchise to Iceland and Cuba before returning to the US to wrap up filming in Cleveland, Atlanta and New York. Spiro Razatos has a great team behind him and we and honored to be brought along to capture the action. The Raptor with EDGE system (pictured), Subie Chase Car and the Mercedes with Tracker and UpDown Rig were in Iceland. Our two Remote Drive Systems headed to Cuba, while the Escalade, Porsche, Subie and Plate Car returned to finish work in the states. Check out the trailer below. Go TEAM MALAKA!!! Our new Off Road Raptor with and without Matt Tracks spent time following our latest Biscuit Rig across the terrain in the Calgary countryside as the actor held reign on a mechanical horse from Creature Effects. It is always a huge compliment to be asked to return to the sequel of a favorite feature film you were apart of. Even a better day when the actor breaks all stereotypes and is unbelievably talented, humble and kind. Allan Padelford Camera Cars pulled double duty with the Mercedes Camera Car and EDGE System chasing our Remote Drive System on top of a 67 Mustang. The MTV had a blast on Templin Highway. The Biscuit has a blast in Atlanta chasing Chipmunks on “Alvin and the Chipmunks: Road Chip” and then headed to Berlin to wrangle Superheros along with our Escalade Camera Car and EDGE System, Porsche with Tracker and UpDown Rig and our Subie Chase Car. 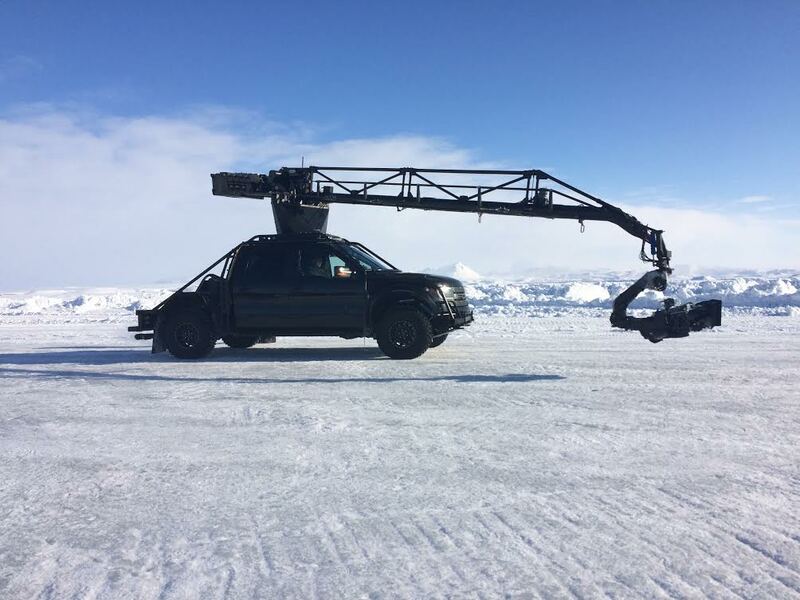 Allan and Fred North line up for a shot on “Monster Trucks.” Our Edge Crane pulled double duty riding atop Performance Filmwork’s Off Road Tundra and our Porsche Cayenne. Additionally, the Subie Cam Car got the ground scrapping shots with the Talon Head and our Raptor Camera Car had front and rear mounted 3 camera arrays for the back ground plate shots. Thanks to Spiro for another great adventure. A special shout out to a fantastic Canadian crew from production to camera and stunts, we thank you for your support and friendship, we really enjoyed our stay in the north. Allan Padelford Camera Cars was surrounded by the best of the best while working on “Fast and Furious 7” and found warmth in the cold Colorado Mountains and laughter in Atlanta from those we are lucky enough to call friends. Blessed to work again with Andy Gill and Spiro Razatos. 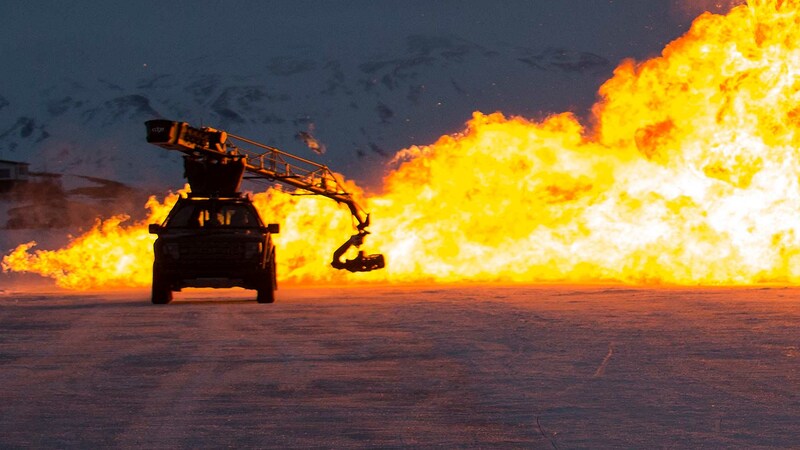 The Escalade with Edge Crane, Subie Chase Car and Porsche Camera Car had quite the workout following the best stunt professionals in the business. 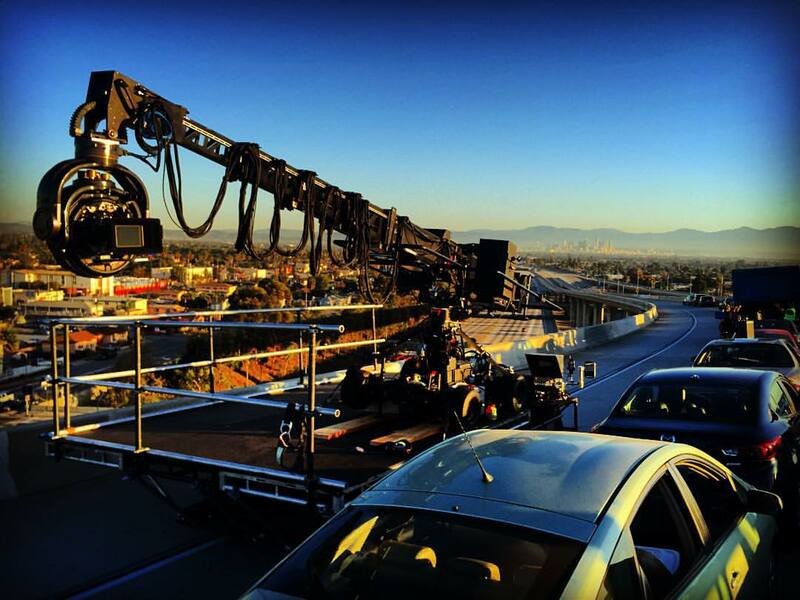 The crew sent the Escalade with EDGE Crane System, Porsche with Tracker Remote System and the Subie Chase Car to begin filming first in England and then Tenerife, Spain. Working with such a great team of professionals made the four months fly by. Allan Padelford Camera Cars was happy to reunite with Quentin Tarantino in “Django Unchained.” First, following horses in the bitter cold of Wyoming with the Porsche Camera Car then moving to the heart of Simi Valley, California. 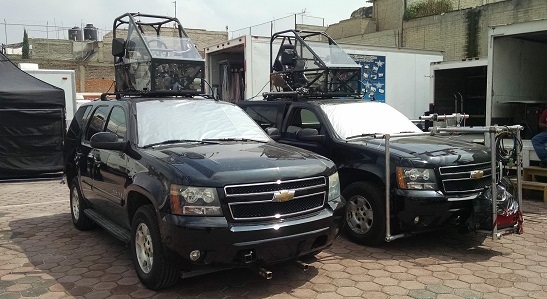 Our Escalade and Edge Crane Sytem followed the chase through the cornfields and streets of Albuquerque to capture the action in director, Jee-woon Kim’s “The Last Stand.” In many of the chase scenes the Corvette was remotely operated from above by stunt driver, Robert Nagle, while Eduardo Noriega took care of the acting from inside with another Remote Drive System on top of the Camaro. controlled the steering from a remote drive system out of the camera’s eye. the actors right in the middle of the action,” says Deakins. completes the actual driving from a side mounted Remote Drive System. Our Porsche Cayenne Turbo is purpose built to be used with our tracker remote system and elevator rig for up close and personal driving shots both on and off the racetrack. Seats 5 and comes equipped with intecom system and 12v XLR connectors. 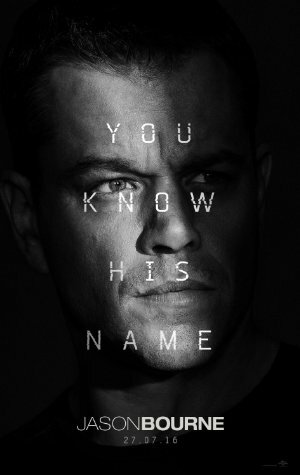 Credits Include: Black Panther, Mid 90s, Total Recall, DJANGO UNCHAINED, Fast Six, Captain America II: Winter Solider, Furious 7, Keeping Up with the Joneses, Ninja Turtle 2, Captain America III: Civil War, Logan Lucky, Fast and Furious 8, Black Panther and numerous television shows and commercials. Allan Padelford Camera Cars loaded up the Escalade, C2 Chase Car and Remote Drive System and spent 8 weeks filming some of the greatest stunt work ever in Puerto Rico and then came home and captured Corey Eubanks incredible stunt flipping the bus several times for the opening scene of Fast Five. 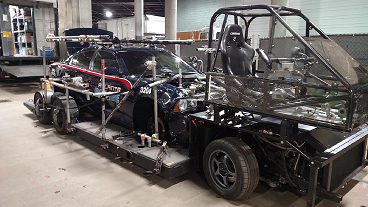 Our Remote Drive System had a starring role in the movie “Haywire” taking control of the driving while the actors focused on their performance in the scene where the deer crashed through the back window. Our newest toy, The POD, a modular remote drive system worked hard filming scenes in the hit movie “The Soloist” starring Robert Downey Jr. and Jamie Foxx. One of the most notable scenes had the stunt driver, Robert Nagle, driving for Robert Downey Jr.’s character as he hits Jamie Foxxes character who is crossing the street. Our driveable process trailer, The Biscuit, spent a few days driving the boys from The Hangover along the San Bernadino freeway filming the driving scenes in the Mercedes. The Biscuit along with stunt driver, Robert Nagle,enjoyed some quality time with the tiger filming the tunnel scene where the Mercedes hits the bus. Our Mobile Technocrane Vehilce and the 30ft Technocrane got to lead the Biscuit rig down the the side roads along the corn fields in Bakersfield, California while shooting scenes for Star Trek during the fall of 2008. Many of the chase scenes involving the corvette were filmed off the back of the MTV with the Star Trek vehicle mounted on top of the Biscuit Rig.